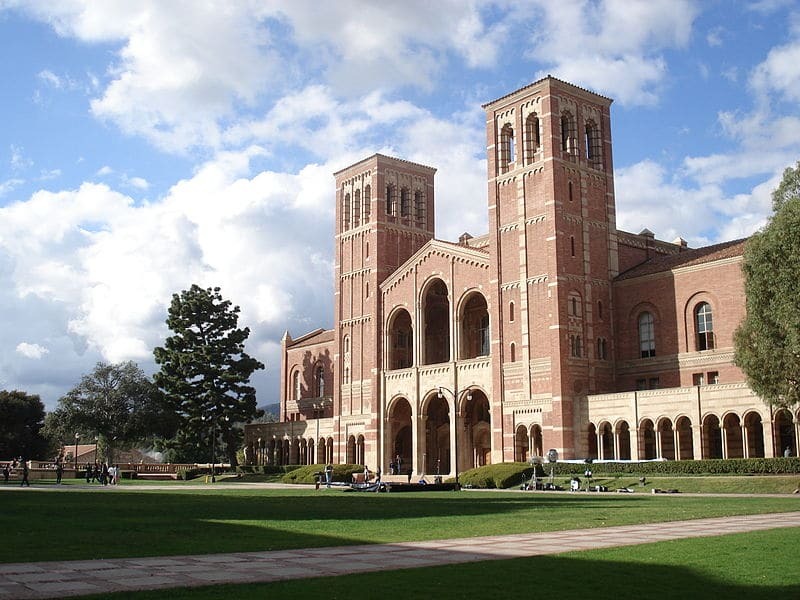 UCLA takes in quite a few dollars from college applications (photo credit: Alton). Which university in America takes in the most money from college application fees? Wonder no more. We’ve got that data — for students who enrolled in the fall of 2016, courtesy of “24/7 Wall Street.” It’s the University of California – Los Angeles. UCLA charged applicants $70 and the school received 97,112 applications that year. That’s a whole lot of applications. Multiply it all out and UCLA earned $6.8 million in application fees alone that year. That should subsidize the work of the admissions office, right? Lunch at Mastro’s in Beverly Hills, anyone? After UCLA, it’s another University of California school (University of California — San Diego) that places second. UCSD received 84,208 applications that year and charged applicants $70 as well. In all, the school grossed $5.9 million in revenue from application fees alone. Placing third — likely unsurprisingly — is the University of California – Berkeley. Cal also charged $70 and received 82,561 applications that year ($5.8 million). Placing fourth is yet another UC school, University of California – Irvine, which charged applications the same $70 and received 77,816 applications that cycle ($5.4 million). Rounding out the top five is — not so shockingly — University of California – Santa Barbara. UCSB charged $70 an application and totaled 77,112 applications that year ($5.4 million). University of California – Davis finishes sixth, totaling 68,553 applications at $70 a piece ($4.8 million). Boston University places seventh, totaling 57,441 applications at $80 an application ($4.6 million). It’s the University of Southern California that comes in next, totaling 54,280 applications at $80 an application ($4.3 million). New York University places ninth, totaling 60,724 applications at $70 each ($4.3 million). And the University of Michigan rounds out the top ten, accruing 55,504 applications at $75 each ($4.2 million). Does it surprise our readers that six of the ten schools that take in the most money from application fees are University of California schools? Let us know your thoughts on the matter by posting a Comment below. We look forward to hearing from you.